Imagine being able to control virtually every function of your grill’s Pellet Boss digital controller from up to 300 feet away! You can with the MAK Grills Remote Boss®. 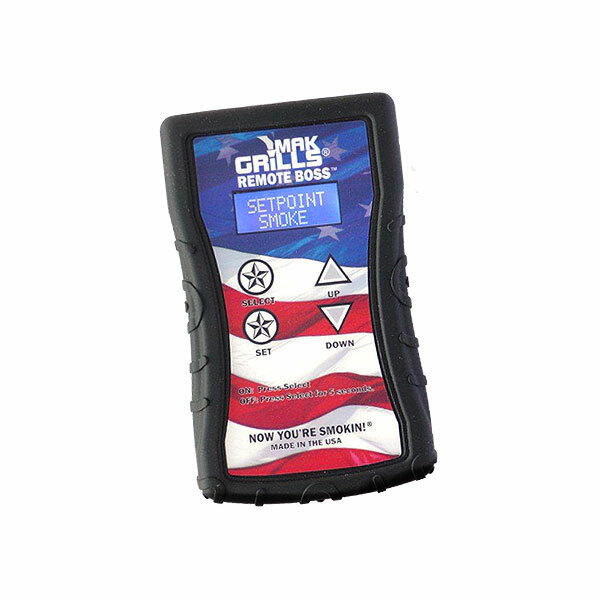 With this MAK exclusive, you can check your meat probe temperatures, change or reset your timers or user programs, check the status of your grill from inside your house or anywhere in your yard, up to 300 feet away. NOTE: The Remote Boss® will NOT work in conjunction with MAK Grills Mobile. Please call us if you have any questions.